Large Screw Case Double 440 x 330 x 95mm is rated 4.5 out of 5 by 6. Rated 5 out of 5 by Stefy from Good Screw Case. Pros. The case is well made It has lots of varied compartments 2 different locks to stop you tipping all the contents on the floor. Cons. When it is filled up it becomes very heavy. Rated 5 out of 5 by Tillmyster from Strong and durable I bought this to make a termination box for cable crimps and pliers. Perfect! 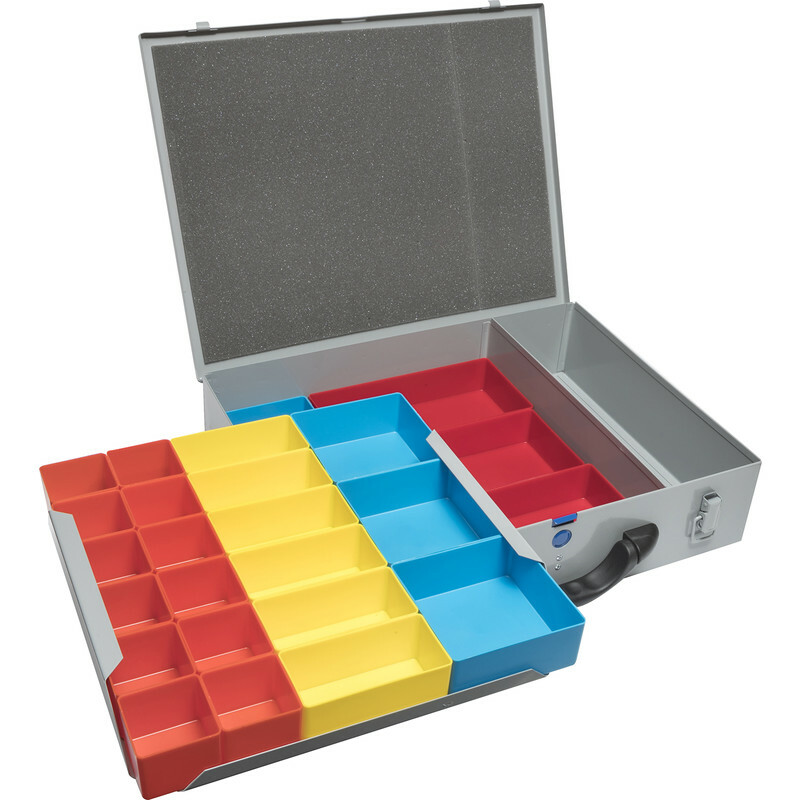 It is a good strong box with durable and rearangable compartments, great for all hard ware.